The advent of the information age is both praised and criticized for its unprecedented outflow of a seemingly continuous stream of ‘new’ information; yet, contrary to this perception, the amount of ‘new’ information that individuals interact with on a daily basis has not substantially changed. Instead, the most notable effect has been a shift in how individuals obtain and interact with information, which can be traced back to a series of structural and logistical changes in the transfer – and thus consequently the viewing – of this information. From social media to 24/7 broadcasting, individuals have constant access to a variety of continuously streaming information channels, yet a majority of this coverage is repetitious and superficial, which has ultimately skewed perceptions of what constitutes ‘new’ information. While this shift has raised various concerns, the most alarming is the ironic absence of information, which is easily lost in the façade of this continuous stream of information. Prior to the 24-hour news cycle, access to information was limited, appearing only at specific times such as that of the nightly news or the morning paper. Thus, publishers were limited by both temporal and spatial constraints, as ‘new’ information only surfaced during these specific times. As a result, stories were highly curated and thoroughly polished, as this was one of the only ways to access information. While competition existed between various media outlets, readership depended on the presentation of genuinely new information, as this was the only way to access it. In contrast, the shift to a primarily digital and 24-hour news cycle has created a continuous and diverse stream of information, where media sites are not simply competing to break a story first, but also to maintain coverage over as well as produce new stories all the while. As a result, media sites, such as newspapers and television broadcasts, are veering away from highly focused and comprehensive stories and instead have adopted a more fragmented approach, providing viewers with condensed snapshots of a situation, which may or may not be followed by a series of updates, and almost immediately moving on to the next story. Therefore, coverage has become simplified and increasingly superficial, marginalizing topics like that of technology and global health. At a journalism luncheon held by McGill University’s Global Health Program, Vidya Krishnan explained that many of her more serious pieces on Global Health issues, such as medication accessibility, are often pushed aside for higher interest pieces, like that of exercise trends or food crazes. Yet, many readers are never presented with the opportunity to interact with these denser and supposedly uninteresting stores. There are a select few companies, such as CBC, CNN and BBC, that attract a majority of viewers worldwide, and thus it is these sites that control what citizens see daily. That is not to say that other sites are irrelevant or obsolete, but these sites have institutions that most individuals look to due to their centrality. From these sites, individuals can expect to find highly condensed articles, and more recently videos, that summarize a situation in 300 words or less. Within these formats, there is a very limited amount of space with little to no contextualization, analysis or even perspective. In an ironic attempt to expand access to information, the information itself has become scarcer. This is not to say that these sights are not producing more extensive and comprehensive articles, but in many cases, these articles are less likely to be viewed or read in their entirety. On the opposite end of the spectrum is the overwhelming amount of opinion pieces from both media sites and individuals alike that often lack any empirical or logical basis. In addition, many of these segments adopt a vindictive approach, failing to produce anything even remotely novel. Such an approach has fostered a highly polarized environment that has made these information channels rather stagnant, especially when considering that most articles centre around political affairs. These issues tend to be general critiques of the media, with journalists and others involved in the press receiving the the sharpest criticism, yet many of these critiques reflect more on the current system in which information travels, which can be traced back to both economic and social conditions (interests, social habits). Let it not be forgotten that it was a group of journalists who exposed Larry Nasser. Unfortunately, however, many of these stories are not well circulated in the mainstream media until after the fact. 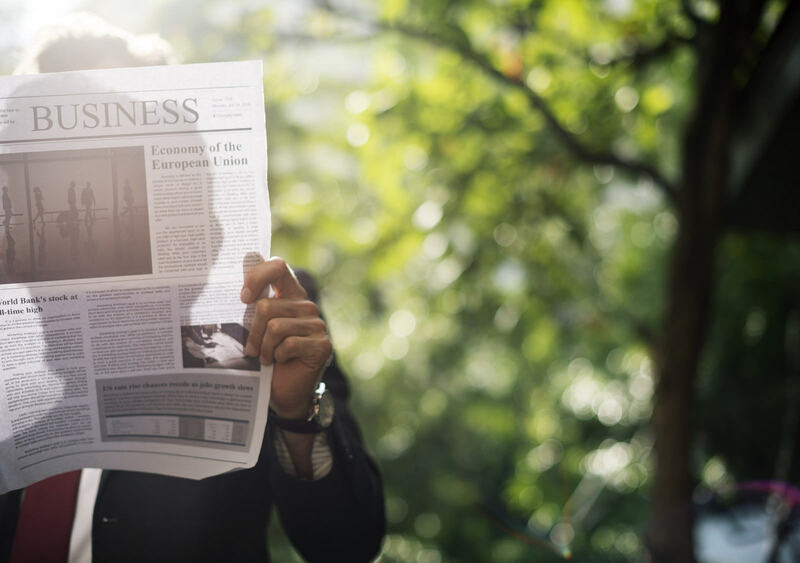 From an economic standpoint, this can be traced back to the need to constantly produce something new to attract readers and guarantee revenue, while from a social standpoint, a reader’s individual interests dictate their attention towards a story. Expanding on viewing habits, there is also the consideration that factors like political ideology, occupation, and education level all play a role in determining what stories a reader will click on and even what sites a reader will follow. Generally, readers are unlikely to venture outside these direct interests. Consequently, contemporary media production adheres to a consumerist model, where news is curated based on consumer interests as opposed to relevance. The current structure of online media only exacerbates this issue. While Social Media sites are designed to connect diverse individuals and groups, their basic design actually inhibits this connection. Many sites are set up so that viewers subscribe to a certain page or individual to ensure they receive a notice when new content is released, and as a result, the only new information an individual receives is based on these subscriptions, which is directly linked to their interests and previous knowledge. Social media sites, which are becoming an increasingly popular way to receive news, are designed around this very concept. Furthermore, there sites are set up to recommend content that is similar to their interests, ensuring that readers do not receive exposure to anything truly novel. The central issue is not that information is necessarily inaccessible, but instead simply absent in the feeds of many individuals. There are, however, organizations and individuals trying to change this, such as the Pulitzer Center in Washington D.C. At this journalistic luncheon, Ann Peters explained how the Pulitzer Center is working with various organizations and individuals to increase the presence and exchange of diverse types of information, one of the simplest ways being the sharing and exchanging of articles between other organizations to increase reception. In addition, Pulitzer provides funding for various independent projects that are less likely to be funded by mainstream media sources, such as filmmakers like Rob Tinsworth who has produced films on the metrics of healthcare, the accessibility of healthcare in remote places like Nepal, and most recently, climate change. Beyond simply producing literature, Tinsworth shared some of his experiences, in collaboration with the Pultzer Center, traveling around to various schools to present these diverse types of media. Not only do these presentations introduce students to largely uncovered issues, but they also expose students to different types of informational sources, teaching students how to find and evaluate information. Contrary to what he even expects at times, his documentaries are met with overwhelming interest by students regardless of their dense and long material, which proves that one of the greatest barriers in solving this issue is the recognition of the issue itself.